In Empire Mode, there are two different scenarios - Historical and Fictional. Historical takes place in the Yellow Turban Rebellion and nowhere else. Fictional takes place in a random time period with a mishmash of kingdoms and officers. A little lacking in terms of choice but it’s still a start since this is the first iteration of the Empires spin-off. Before a battle, you are given two random proposals from your officers. These include taking a break from battle if you don’t have any money, recruiting 500 to 2000 soldiers into your army, and developing weapons. So basically you’re a ruler who can’t think for himself and always have to delegate to one dude every time, instead of compromising. If you don’t pick someone’s proposals after a few months, they’d even ask if they’re not good enough like an insecure girlfriend. As you command and conquer more areas, you get to capture enemy officers that you can recruit. You can recruit other playable characters but amusingly enough, you can also recruit and play as NPCs who use one of four different models. Sure, they all have movesets from Dynasty Warriors 3 but it is a change of pace to play as one of the 300 generic NPCs and beat an officer with a fully designed outfit and specific moveset. It’s like the shoe’s on the other foot now and you’re participating in a competent boss fight. The versus mode is absolutely fun here though since it’s not just a one-on-one fistfight between two people so that’s a huge saving grace. You don’t necessarily have to play against someone else as you have the option to fight an AI-controlled opponent. 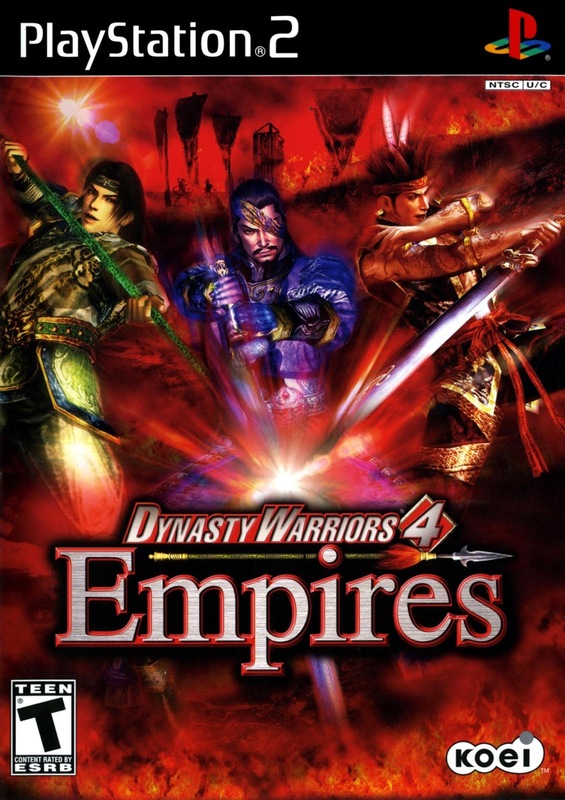 There are four different stages in Versus Mode and they’re unique twists on the Dynasty Warriors hack and slash formula but only two modes stand out in terms of how fun they are. “Endurance” is the most intense stage out of these because you and your opponent are in the middle of a poison swamp while waves of enemies charge at you. The better you do, the stronger they get. “Melee” takes place on top of a platform and you both are given the task of throwing dudes off, including the other player. The person with the most KOs after the given time wins. It’s as fun as it sounds stupid. The main criticism I have of Empire mode, the main game mode in an Empires game, is that everything is restrictive. When starting a new scenario, you don’t get to choose your allies. You’re given two allies to start with and they may not be the ones you want to start with. 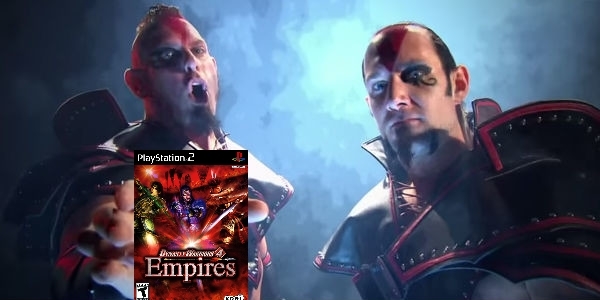 They may not even be unique characters, instead getting the generic NPC that you fight 60 times in the game so in most cutscenes, you wouldn't even know who you're watching since there are 4 different dudes with the same model in your empire. You can’t choose who you want to start with other than the ruler and the only way to get specific allies you want is by picking your ruler again and again until you get a duo of underlings you want. Your kingdom is restricted to 20 officers and lieutenants while the opposing kingdoms are free to have as many officers as they can, depending on how many regions they occupy. Each enemy region can hold six officers so if this enemy kingdom occupies six regions, that’s 36 different officers you have to deal with, not counting alliances and reinforcements. You can’t choose a strategist unless one of your officers suggest you a smart person they want to promote as strategist because again, you have no form of personal decision making. And personally, I don’t even remember ever fulfilling the “Become Grand General” objective, which I’m sure is possible somehow and I’ve never bothered to unlock it. 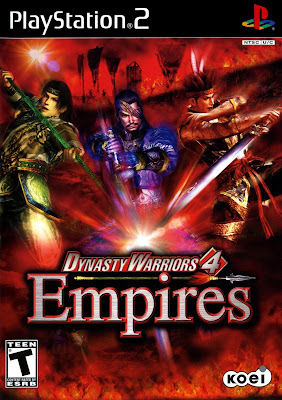 As restrictive as Dynasty Warriors 4: Empires is, it’s 5: Empires that starts the improvement of the spin-off series because of how lenient it got and the game finally gives you the power of choice. But strangely, I still gravitate to 4 more than I should as nostalgia still keeps reeling me back in. So to summarize, the game is fun but realistically speaking, it’s a hack and slash game trying to be a strategy game which makes strategy a moot point since you’ll just be relying on brute strength instead of tactics and ambushes the game implies to have. It’s still a fun game for people who started playing the series 14 years ago. But for newcomers, it would just be a restrictive piece of history that’s built upon in later games.